Pokud se nebojíte, navštivte výstavu nejen fotografií! If you are not afraid, you can visit an exhibition of photographs from the expedition to Borneo with examples of hazardous animals. You can see amazing photos from the secondary and primary habitats. Get a look of collection of most dangerous snakes such as fast black mamba or white cobra from Asia. 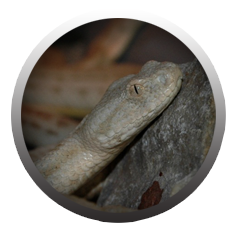 Our exposition does not show you only amazing photos, you can observe dangerous mamba snakes, cobras, vipers, rattlesnakes and poisonous lizards.